The awards and recognition we receive are a testament to our commitment to caring. At EmpRes, we measure our success by the lives we touch and in the care we provide for our residents and patients. Awards we’ve received are humbling affirmations by our peers, the state, and industry trade organizations for a job well done. We are proud to recognize the people on our teams who help us achieve excellence. Pictured Left: The leadership team at Eden Home Health Carson City accepts the 2017 HealthInsight Quality Award for demonstrating high quality health care and excellence in performance on publicly reported quality of care measures. 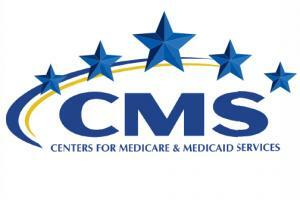 Every month, the Centers for Medicare and Medicaid Services (CMS) uses a Five-Star Quality Rating System to rank skilled nursing facilities—with one star being the lowest possible score and five being the highest—based on information from Health Care Inspections, Nurse and RN Staffing, and Quality Measures. EmpRes locations strive to achieve a 4-star or 5-star rating. 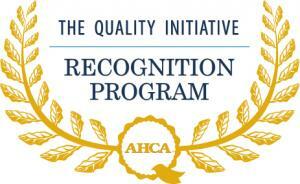 The Quality Initiative Recognition Program is designed to recognize AHCA nursing center members that demonstrate the attainment of four or more of the AHCA Quality Initiative goals related to decreasing turnover, customer satisfaction, improving discharge back into the community, decreasing hospital readmissions, increasing functional outcomes, and more! The National Quality Awards are presented annually by the American Health Care Association (AHCA) and National Center for Assisted Living (NCAL) to recognize long-term care providers that demonstrate excellence in performance. Recipients of the BRONZE AWARD demonstrate their commitment to improving care and services to meet the highest expectations and standards. The National Quality Awards are presented annually by the American Health Care Association (AHCA) and National Center for Assisted Living (NCAL) to recognize long-term care providers that demonstrate excellence in performance. The SILVER AWARD recognizes a significant achievement in the journey towards performance and resident focused excellence. Pinnacle conducts thousands of monthly surveys in order to establish a comprehensive review of skilled nursing facilities that will determine the quality of their products and services. 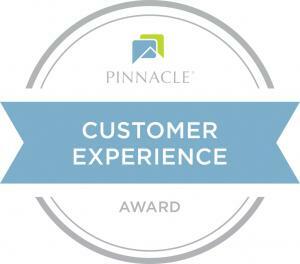 In order to qualify for Pinnacle’s industry standard awards, clients must achieve a cumulative Best in Class customer satisfaction rating across a calendar year. U.S. News has updated the methodology used to evaluate nursing homes to ensure that the designation of “Best Nursing Home” is given only to those homes that demonstrate appropriate use of key services and consistent performance in quality measures. To qualify as a “Best Nursing Home” facilities had to earn an average rating of 4.5 out of 5 during 10 months of federal reports and consistently meet performance standards set by U.S. News, such as earning at least a 4 in the CMS overall rating for all 10 months. The National Nursing Home Quality Improvement (NNHQI) Campaign exists to provide long term care providers, consumers and their advocates, and quality improvement professionals with free, easy access to evidence-based and model-practice resources to support continuous quality improvement. The Campaign promotes focus on individuals’ preferences, staff empowerment, and involving all staff, consumers, and leadership in creating a culture of continuous quality improvement. To learn more about the campaign, visit: www.nhqualitycampaign.org. 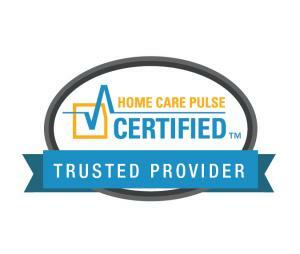 Agencies recognized as Home Care Pulse Certified Trusted Providers have shown their commitment to providing quality in-home care by contracting with Home Care Pulse, an independent satisfaction research firm, to gather feedback and satisfaction scores. Each month, Home Care Pulse performs random client/caregiver interviews to help “Trusted Providers” ensure that they are meeting their clients’ needs, and that they are providing the best care services possible. 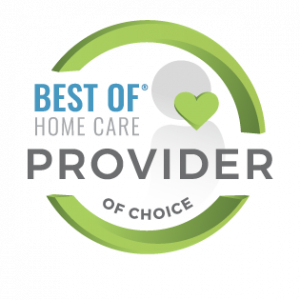 Agencies with the highest quality receive the Best of Home Care Award from Home Care Pulse®, the leading quality assurance firm for home care. This award is based on client satisfaction scores from several categories, including Compassion, Work Ethic, Communication, and Training. These award-winning agencies have proven that they provide the highest level of quality, professionalism, and expertise in home care. 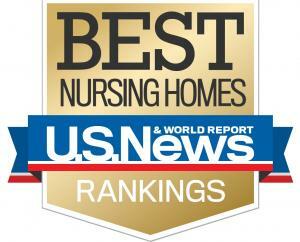 Recognition as a Leader in Excellence means we set the highest standard for quality in home care. Our satisfaction scores rank in the top percentile nationally across all categories. These scores are based on monthly third-party phone interviews with the agency’s clients and caregivers, conducted by Home Care Pulse. 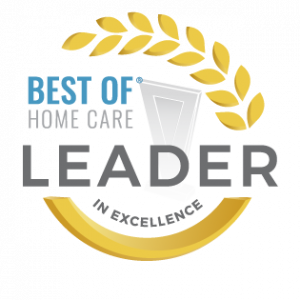 As a recipient of a Best of Home Care Leader in Excellence award, we are one of the very best providers in the nation. Recognition as an Employer of Choice means we set the highest standard for caregiver satisfaction. Our satisfaction scores rank in the top percentile nationally across all categories. These scores are based on monthly third-party phone interviews with the agency’s clients and caregivers, conducted by Home Care Pulse. 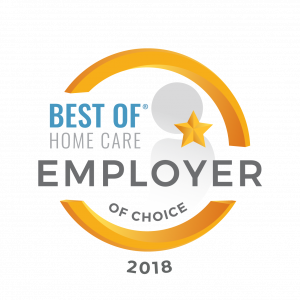 As a recipient of a Best of Home Care Employer of Choice award, you can have confidence that our caregivers will be happy to serve you. HealthInsight recognizes Medicare-certified providers for demonstrating high quality health care and excellence in performance on publicly reported quality of care measures. Quality of care measures come from patient information that is collected from home health agencies, nursing homes and hospitals. These measures provide one piece of information that consumers can use to decide how well providers care for their patients. We are accredited by the Accreditation Commission for Health Care (ACHC). Achieving accreditation is a process where healthcare organizations demonstrate compliance with national standards. 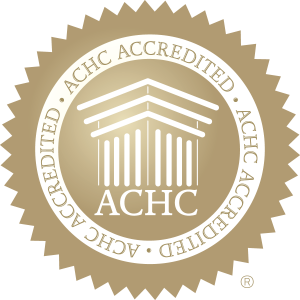 Accreditation by ACHC reflects an organization’s dedication and commitment to meeting standards that facilitate a higher level of performance and patient care. 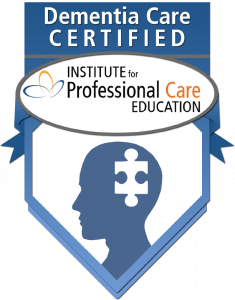 The Institute for Professional Care Education (IPCed) is a national training and certification company for the caregiving professions. This certificate program is designed to prepare the caregiver for the special care needs of a person with Alzheimer’s disease or dementia. This training program teaches how to provide outstanding care to individuals with Alzheimer’s disease or dementia. It offers an excellent career ladder for individuals who want to enhance their skills and better understand person-centered care for the individual with dementia. Includes 23 hours of online training on essential topics. At EmpRes, we believe there is no substitute for a meaningful career. Join us today!